So, entrepreneurs, how’s your April? Quite intense? Yep, that’s a common complaint this month. We had a chance to witness some great changes, new partnerships, features introductions and interesting events that took place in the market of internet retail. 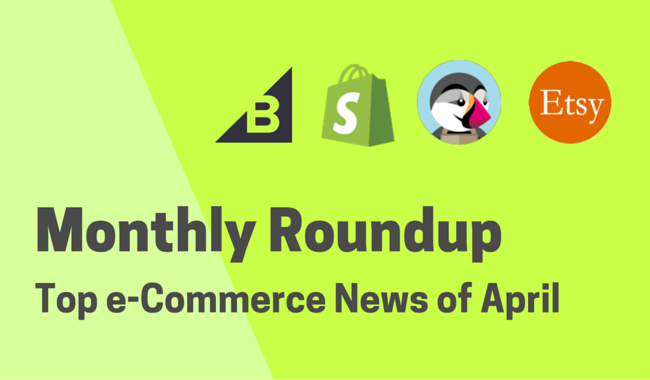 And if you missed any of them out, our monthly e-Commerce roundup contains everything you need to know to get caught up. So, how about some freshest e-Commerce news? Facebook is making an attempt to change the way online store owners connect with customers. For this purpose, it collaborated with an e-Commerce platform striving for innovations and rolled out Shopify’s Messenger integration. Now, Shopify users have a chance to try out a better, much more personal way for to stay in touch with customers -- the one you use to chat with your friends. This new integration makes it easy to communicate with your customers in real-time, and build stronger, one-on-one relationships, all from within such familiar Messenger app. Everything is so simple it’s genius: during checkout, shoppers signed into Facebook can choose to get order confirmation, shipping details and updates, customer service, and more explicitly through Messenger. Once they’ve opted in, they’ll get their first message and order details automatically sent from your business’ Facebook account. Afterwards, they’ll be able to continue a live conversation with your salesperson (or you personally) just to specify anything or have some fun. In return, store owners get a direct connection with their clientele and an awesome chance to flog something in addition. It’s a win-win! Currently, Facebook is restricting this feature to the US store owners and customers only. But we’re sure that its global spread won’t make us wait too long. Feeling like migrating to Shopify already? BigCommerce, a fierce Shopify’s competitor, seems to be serious about improving its current market position. In this regard, BigCommerce and eBay have established a strategic partnership, enabling BigCommerce users to list their products and manage inventory on the eBay marketplace. Access to 162 million global active eBay shoppers is granted! Woo-hoo! So, if you’re a BigCommerce store owners, you now can sync and manage your inventory and orders across both channels in one simple tool. Naturally, it opens brand new possibilities to entrepreneurs that once have been restricted to their own stores. Or, at least, couldn’t go multichannel so conveniently. In fact, you can fulfill orders from both channels from one place too. Yet we have no exact information on how it’s going to work in practice. Being still unavailable for average users, companies expect to start beta testing of BigCommerce’s eBay integration in the third quarter of this year. Well, good luck to them! Hopefully, it’ll help BigCommerce put its things straight. Enjoy new benefits and perform automated migration to BigCommerce! 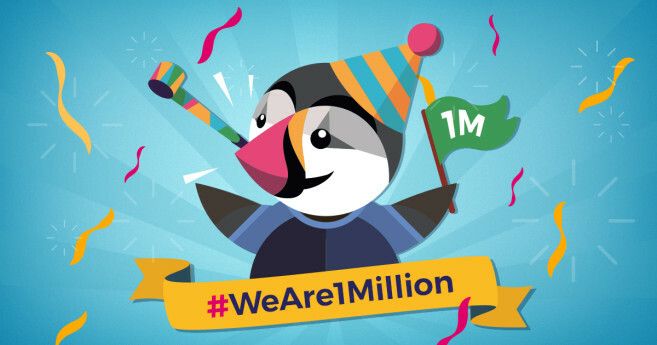 Recently, PrestaShop announced its community has grown up to one million members -- a huge achievement for PrestaShop team and for all its users. “This achievement has been years in the making, as we patiently built a community of contributors and users around the globe–and around a passion for ecommerce” -- said on PrestaShop blog. Indeed, PrestaShop has made a rapid takeoff from the time of its release and now rightfully takes its place among top 5 most popular shopping carts. Through the years of its existence, PrestaShop has underwent a few major updates, full-scale redesign, countless number of lesser ones and released an absolutely free hosted version of its software PrestaShop Cloud. Being strong partners for quite a while, congratulations of Cart2Cart Team go to PrestaShop as well! Keep it up, fellows! Become a community member 1,000,001! Migrate to PrestaShop automatically using Cart2Cart! All-favourite hipsters’ marketplace for vintage & handmade craft Etsy has switched its way into the custom website space giving sellers more control over their creative brands. From now on, Etsy merchants have a possibility use a new way to showcase and sell their products with the help of a native website creator Pattern. The service connects with Etsy shops allowing sellers to import all the information from their existing shops to their very own mobile-friendly websites on custom domains. Such significant improvement was caused by a rising community’s interested in getting their products beyond Etsy’s marketplace. Patter service is called to save seller’s loyalty and get into a severe competition with such website creators as Wix, WordPress and Squarespace. Moverover, it will also play a role of a new revenue stream: as soon as a 30-day free trial is up, sellers are going to be charged $15/month. Well, that’s all for today. Now you’re a little more conscious of what's happening with your favourite shopping carts, and make a right decision if you happen to feel the need to switch. And we, Cart2Cart Team, will gladly help you with that one 🙂 Take care and be sure to keep an eye on our blog -- there’s more interesting info to come!